1 and 1/2 months in, I hope you are having a great 2016 and enjoying our goal setting posts! Want to have your best year yet in 2016? 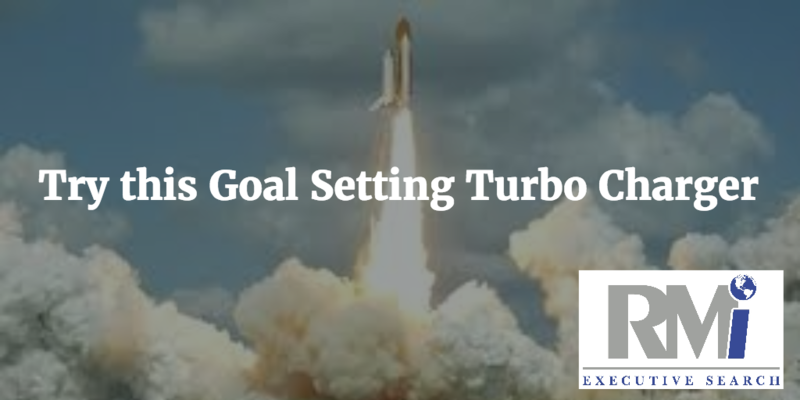 Give this a try...it's a great goal setting process I learned from Brian Tracy. The most effective way to program your goals deeply into your mind is to write them daily. I would encourage you to buy a nice leather journal or a simple spiral-bound notebook and begin writing your goals daily. Each morning before you get out of bed or just before retiring at night – or maybe at both times – take your journal, write the date at the top of a new page, and write at least ten goals you would like to accomplish in the next year. 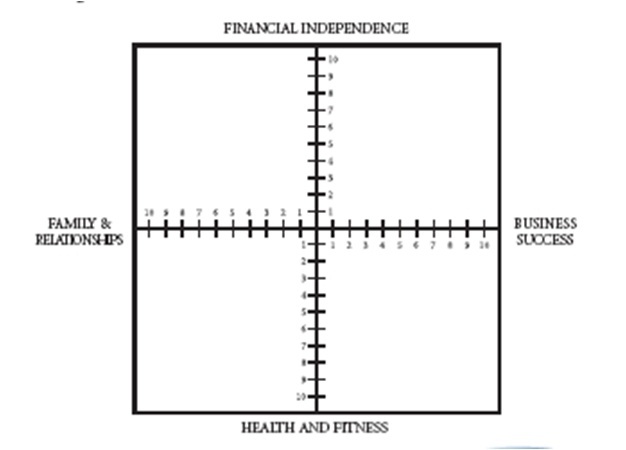 Use these four primary areas of life as your guide: Health and Fitness, Family and Personal, Business and Career, and Financial Independence. Goal Setting --- What's In It For Me? 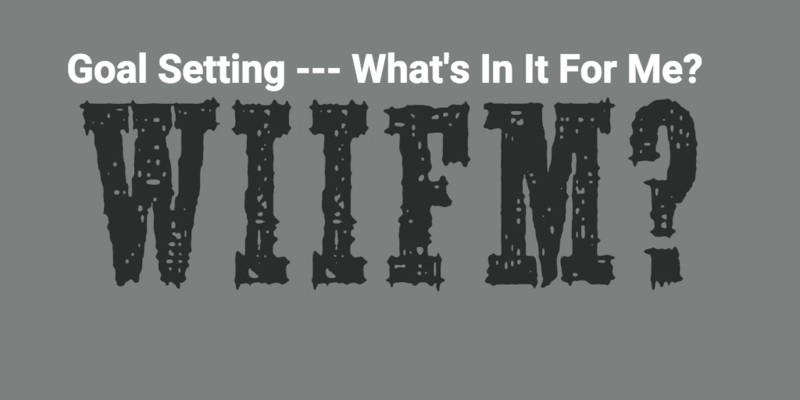 So, like that great radio station, WIIFM, you're wondering "What's In It For Me?" with regards to GOAL SETTING. Well, I'm convinced that written goals and goal setting will allow you to accomplish more of what you want to accomplish...FASTER...than not having and writing your goals. This is my experience and that of many of my executive coaching clients. Further, goals create that internal, burning desire that incites you to get out of bed each morning. Goals are much more motivational than just paying the bills or getting up today because that's what you did yesterday! I trust your "NEW YEAR" is off to a great start! I also trust you ended or began the year by setting some great goals and that you are busy implementing your plan to have one of your best years ever! But, in case you found yourself blinking through the rush of the holidays only to find yourself a few weeks into the "NEW YEAR" trudging the same roads as last year, I wanted to offer an alternative and reminder about goal setting. "This simple story illustrates and summarizes the most important single principle of success, achievement and happiness in life. Your ability to determine where you put the "X" in each part of your life is the critical determinant of everything that you accomplish, or fail to accomplish. This "X" is your focal point. This is the one thing that you can do, at any given moment, to get the very best result possible for you in that area. Your ability to choose the correct time, place and activity to place your "X" has more of an impact on your life than any other factor." Through the years, most of my coaches and motivational mentors have stressed the importance of WRITTEN GOALS, but I didn't learn this secret until I met Brian Tracy and became an executive coach and business coach. 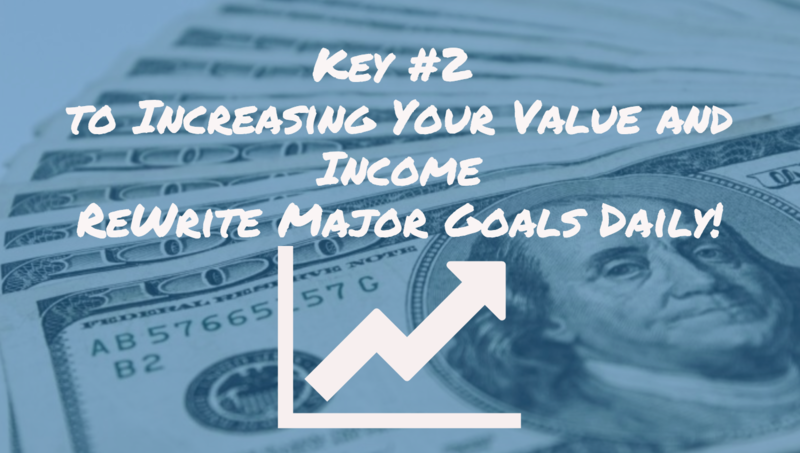 KEY #2 TO INCREASING YOUR VALUE AND INCOME: Re-write your major goals daily. Last week, I wrote about making a commitment to get better. To follow on that post, I want to discuss another idea I learned from Brian Tracy called the "1000% Formula." I was reminded of it after reading this article about how 1% improvements led to "Olympic Gold" for the British Cycling Team. 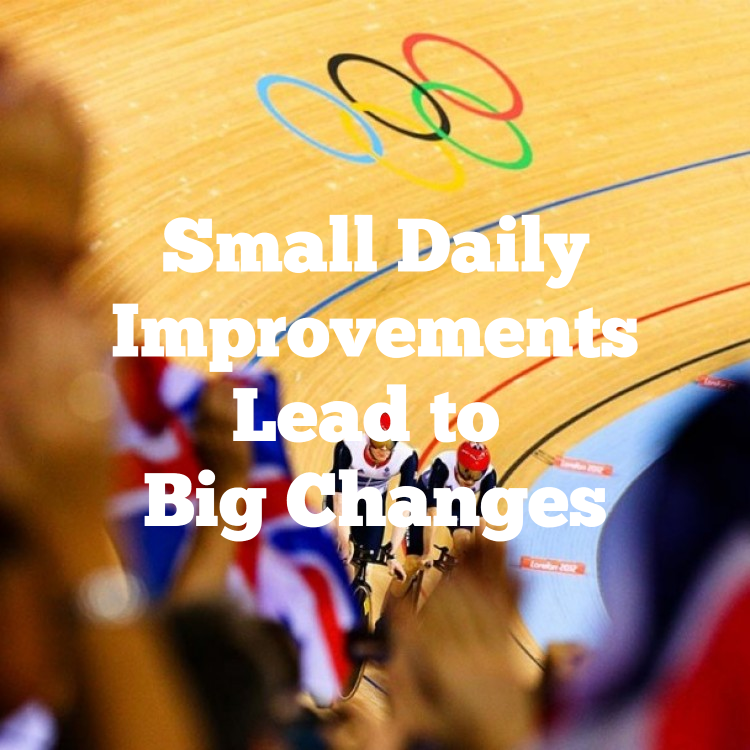 These concepts are based on the "Slight Edge Theory" or "Marginal Gains Theory."